The contemporary Serenity dresser features sleek lines and beautiful details that will give any bedroom that modern feel. Rich merlot finish combine with the brushed nickel hardware details create the perfect cohesive blend of style. 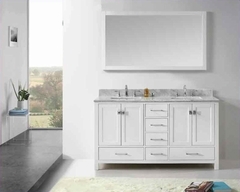 Drawers are constructed with english dovetails and smooth metal on metal drawer glides for a stable and durable design. 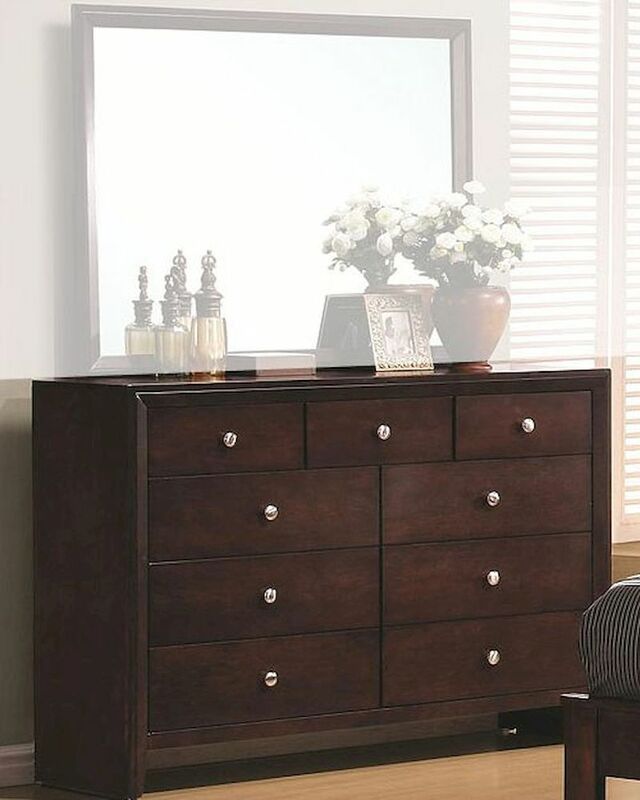 Dresser - 55.25"W x 16.5"D x 38.5"H.
Clean lines with splayed legs. Brushed nickel finish metal hardware.